This bit of news is for you, Viber users. Yeah, we know there's plenty of you out there – about 140 million people, to be more precise. The makers of the popular VoIP application have confirmed their plans on bringing a full-fledged Viber client to BlackBerry 10, with high-quality voice calling and all. Moreover, they even say when we should expect it to become available. No specific date has been given, but Viber for BlackBerry 10 should launch this coming April, which will probably be a month or two after the first BlackBerry 10 smartphones hit the market. Upon launch, the BlackBerry 10 platform should offer all the apps you may need, or at least that's what RIM promised. At least 15,000 of them have already been submitted. Yet no information on a wp7/8 version with voice calls, viber truly hates windows. C'mon viber get ur sh** sorted please and thank you. all windows phone users. Dude there's less people on Windows which is probably the reason why they haven't made a proper version. It only makes sense to develop for a more popular platform plus in time more and more apps will come to WP as sales increase and the platform becomes increasingly popular. coz again developing on BB10 is more easy than windows phone or even windows coz iOS Android and BB10 are all Unix /Linux platform!! Yeah no thanks. What's the point? Skype exists. Guess you ave no understanding of why there are choices? What's the point? Most people in NZ don't use Skype for phone calls, hardly even use the IM function. 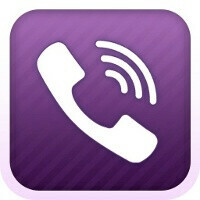 Viber is free calling to viber which is on id say 99% of smart phones here. Please viber at least bring back the call feature for lumias!